Need a CT Scan? Look no further than Lundberg Medical Imaging. 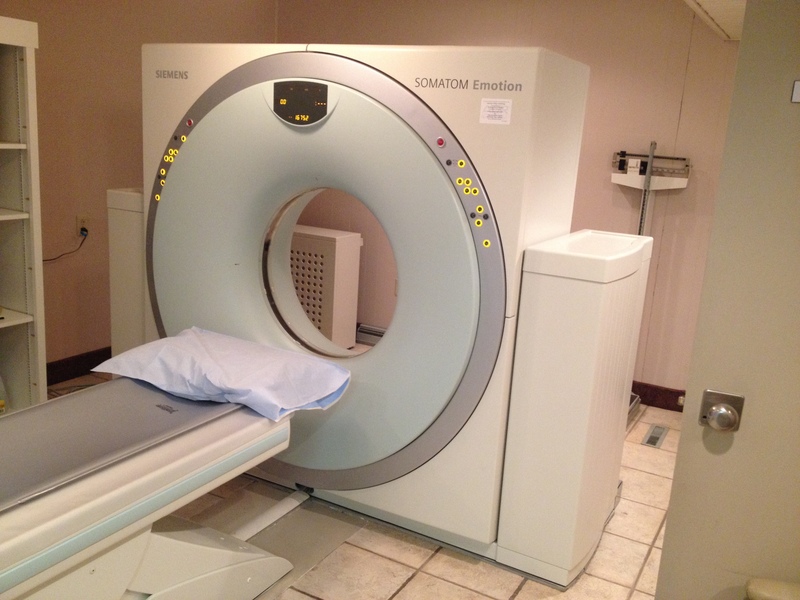 If you are having a CT Scan, you should wear comfortable clothing. You may be given a gown to wear if metal on your clothing interferes in the exam due to the streak artifact it can create on your images. You may be asked to remove metal objects including jewelry, piercings, removeable dental work, eyeglasses, dentures, hair pins, and hearing aids during the exam. You may be asked not to eat or drink anything for several hours prior to your exam. If oral contrast is required you will be asked to drink half the contrast the night before the exam and bring the other half with you which you will drink just prior to your procedure. If your physician does not have the contrast in their office you will be asked to stop by our office at least one day prior to your exam for the contrast and instructions. If you live out of town you will be asked to arrive one hour early to drink the contrast to allow adequate time for this to travel through your GI tract. You will be asked to fill out a screening form with your medical history, medications, and allergies, which the technologist will review with you prior to the exam. If you take Glucophage or Metformin you will be asked to not take these medications the day of the exam or for 48 hours following your test. If you have a history of prior allergic reaction to IV contrast, please alert your physician prior to scheduling your test. They may prescribe medications (such as steroids and Benadryl) to reduce your risk of allergic reaction. If Benadryl is given we ask that you have someone drive you due to increased drowsiness caused by this medication. Please inform your physician and the technologist if there is any chance of pregnancy. The CT will take approximately 15 minutes, but expect a 30-45 minute time frame for your visit in case additional imaging is required. Some CT exams require you to hold your breath. If you are on oxygen you will be allowed to bring your oxygen in the room during the exam. When your exam is complete you will be asked to wait on the table while the technologist checks your images with the radiologist. He will then determine if additional imaging is required and that will be performed at that time. You will receive your results before you leave our office and your doctor will be notified if immediate action is required.